Watch your students have fun with their peers while engaged in this sight word pocket chart game. 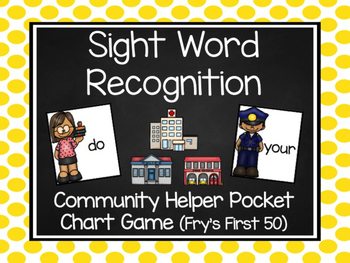 Print, laminate, cut, and put these Fry's First 50 community helper sight word cards in a pocket chart (or flat surface) and have your students take turns hiding the community building behind a secret sight word. Students take turns calling out a sight word and checking to see if they found the hidden picture. 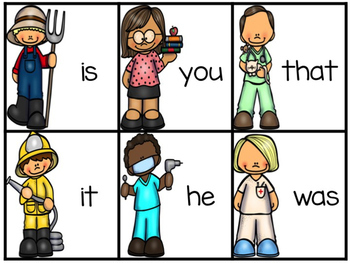 If a student calls out the correct sight word and finds the hidden picture it will be their turn to hide it next. 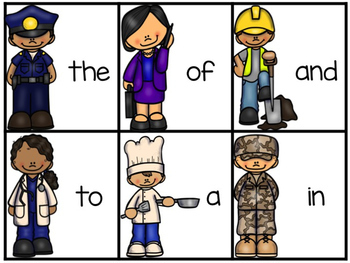 You can use this fun game during literacy centers or sight word interventions. Enjoy!